Crafted in an ever-classic hue, this navy tunic is an ethnic must-have for all the ladies. 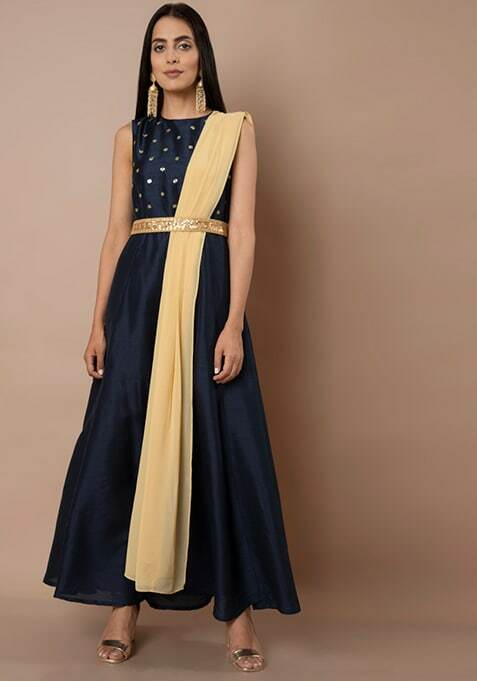 Features a beige dupatta attachment and sequined belt. Work It: Style this gorgeous tunic with strappy metallic heels and wear subtle make-up.